(US/USA) (Baltimore/Washington) 1998 - 2001. Photos. Framable Color Prints and Posters. Digital Sharp Images. Aviation Gifts. Slide Shows. 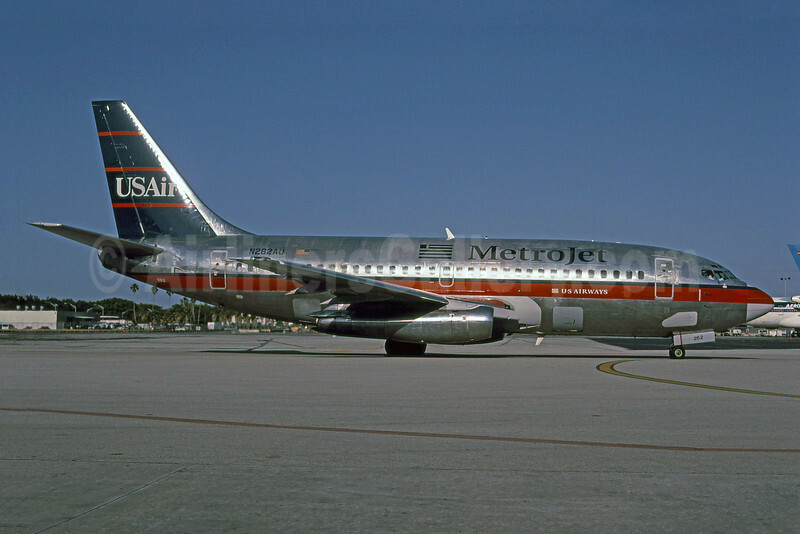 MetroJet-USAir Boeing 737-201 N262AU (msn 22868) MIA (USAir colors) (Bruce Drum). Image: 101080.